Today is Fat Tuesday, Mardi Gras or Martedi Grasso. Whatever you want to call it, it has only one meaning to me and the rest of the population who have grown attached to their vacuum cleaners these days. It's the official last day of getting rid of all the coriandoli (confetti) and stella fillanti (streamers) that have made their way everywhere in the house, in our clothes and just in every little space they can go to. And the roads and malls, don't even think how much work has to be done! But I'm being unfair. It has to be the big moment that all the kids are waiting for. Parading around in their costumes with their personal choices of super heroes and princesses while having the license to throw around streamers and confetti. That also includes attacking strangers with them. Sigh. It's actually normal to walk around with confetti dotting your clothes and hair and streamers dangling from your head. What's not normal is if you don't have any speck of confetti or streamer on you. Our weekend had been completely full. It had been fun for the kids to party with their friends and strangers in different costumes and just getting on with the party atmosphere. But today, these dear children are concluding their partying and putting away those beautiful costumes. With the party food and tight schedules, there's also not so much time dedicating work in the kitchen. What we whip in our little food factories are easy and practical ones. 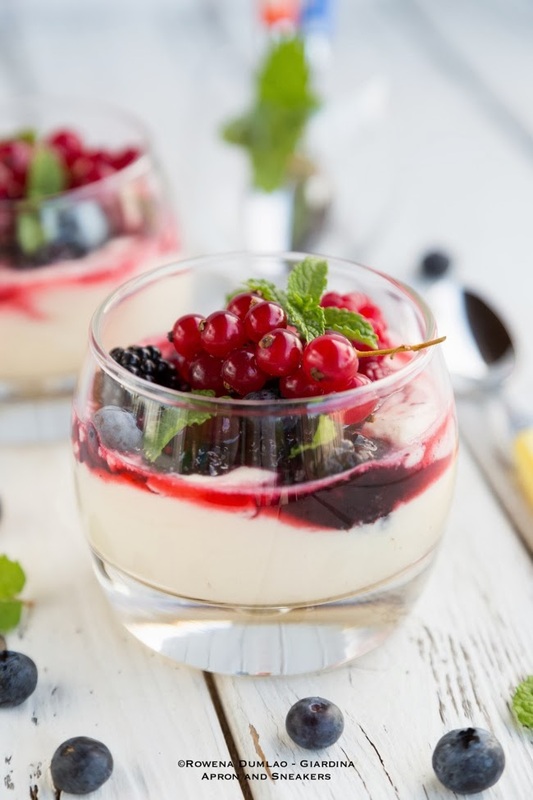 Here's a quick and delicious dessert, ready in no time without sacrificing the flavors of the mascarpone and the berries. Buon appetito! 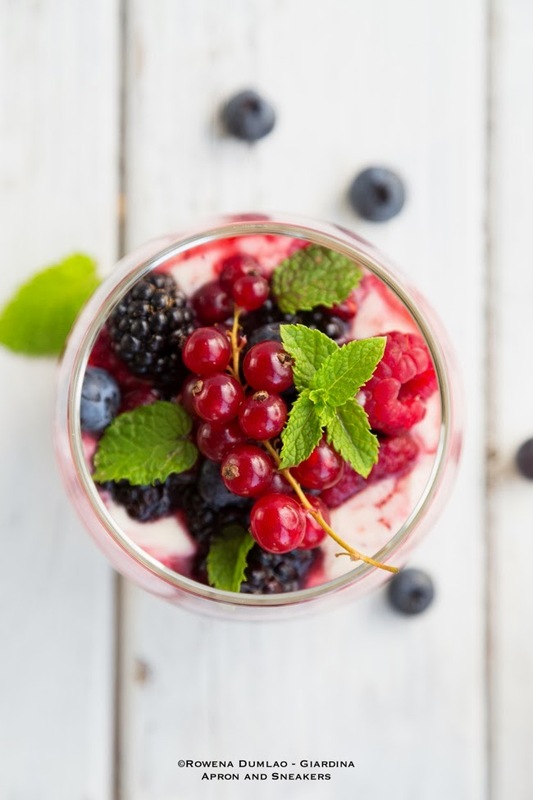 In a small bowl, mix the berries, lemon, sugar & vermouth. Leave it in the refrigerator for 15 minutes. In another bowl, mix the mascarpone, icing sugar, egg and brandy with an electric blender. Set aside. 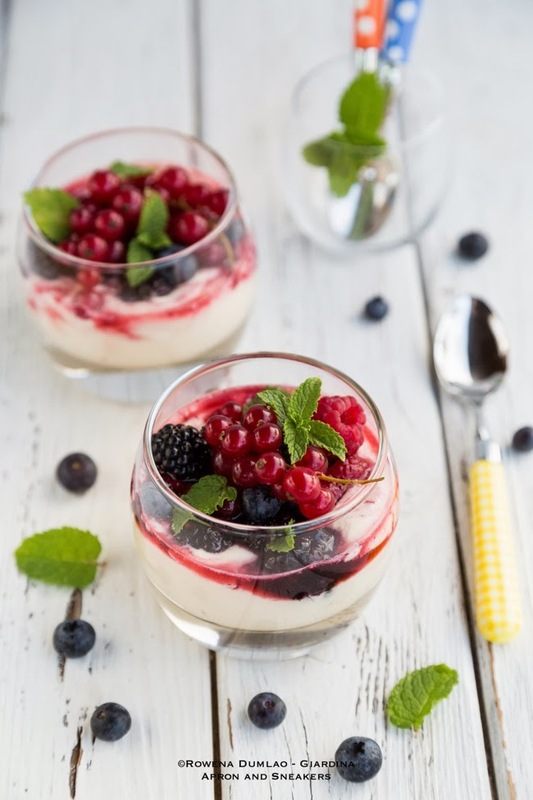 In a glass, pour the mascarpone cream then top with the macerated berries. Garnish with fresh mint if using.